Up until recently, the city of Sacramento, California was reliant on the San Francisco Bay area for content delivery. This has changed, thanks to a new partnership that will result in Sacramento’s first-ever Internet Exchange. EdgeConneX® has announced a new partnership with Sacramento Internet Exchange (Sacramento-IX), for the implementation of a connectivity node directly into its Sacramento Edge Data Center (EDC). The partnership will advance regional Internet connectivity and expand the network edge. Sacramento-IX was started in the summer of 2017 by Ninja-IX. The 29,000 square-foot facility is located within 14 miles of downtown Sacramento, and 25 miles from Sacramento International Airport. It was purpose-built to give customers a secure colocation center for the low-latency delivery of applications and content to local consumers. This Internet Exchange will provide local enterprises with advanced peering capabilities. With the deployment of the Sacramento-IX node in this EDC, EdgeConneX can now localize traffic to the area’s metro market and provide tenants with redundancy as well as peering independence. EdgeConneX will join one other data center provider as the founding facility for the first Sacramento-IX. 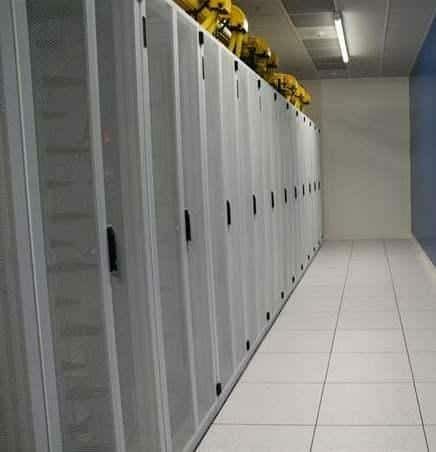 Its Sacramento EDC provides concurrently maintainable power in a minimum of an N+1 configuration to include Uninterruptible Power Supplies (UPSs), Power Distribution Units (PDUs) and generators. What’s more, the building contains diverse Points of Entry (PoEs), with a variety of fiber conduits to physically diverse Meet-Me Rooms (MMRs). There are also multi-stage security containment systems, interior managed security zones and mantraps. Current network providers at the Sacramento EDC include CenturyLink, Comcast, Integra and Zayo Group. EdgeConneX Chief Commercial Officer Clint Heiden also commented on the partnership. To learn more about EdgeConneX, click here or email info@edgeconnex.com.